Area : 193.58 sq. km. Temperature : Max. 42°C and Min. 29°C in Summer. Max. 24°C and Min. 11°C in Winter. Along with the eastern bank of the Chambal river lies Kota- an amazing juxtaposition of the majestic medieval age and modern industrialization. While its untouched wealth of impressive forts, opulent palaces and splendid temples dating back over several centuries retain the past glory, the present day edifices and heavy industries have made it the industrial heartland of Rajasthan. The history of the city dates back to the 12th century A.D. Kota is a hallmark of the Rajput gallantry and culture. Air: Kota is connected by air. Jaipur 245 km is the other convenient airport. Rail: Lying on the Delhi-Mumbai route, Kota is well served by regular super fast rail services. Road: Good network of road connections link Kota with many important cities inside and outside the state. Local Transport: Unmetered taxis, auto-rickshaws, tempos and cycle-rickshaws. 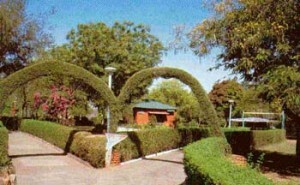 Chambal Garden: A beautifully landscaped garden at the Amar Niwas. Its lush surroundings make it a popular picnic spot offering enjoyable boat rides. Maharao Madho Singh Museum: Situated in the old palace, the museum has a superb collection of Rajput miniature paintings of the Kota school, exquisite sculptures, frescoes and armoury. The museum also houses a rich repository of artistic items used by the Kota rulers. The Government Museum: Housed in the Brijvilas Palace near the Kishore Sagar, the museum displays a rich collection of rare coins, manuscripts and a representative selection of Hadoti sculpture. Timings: 1000 hrs to 1700 hrs. Entry fees are required. Closed on Friday and Govt. holiday. 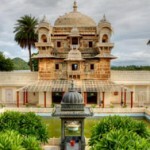 Jag Mandir: Amid the picturesque artificial lake of Kishore Sagar constructed in 1346 A.D. by prince Dher Deh of Bundi, stands the enchanting little palace of Jag Mandir. The azure waters around the red-sandstone monument enhances its beauty. Haveli Of Devtaji: The beautiful Haveli of Devta Shridharji is located in the middle of the busy market. The Haveli is noted for its splendid frescoes and rooms ornate with lovely wall paintings. Kota Barrage: A part of the irrigation canal system on the Chambal river, this beautiful setting is ideal for outings and evening strolls. Nahargarh Fort: Nahargarh fort is situated 145 km from Kota beyond the hills of Jaigarh in Rajasthan. An impressive structure in red stone, the fort is a fine example of the Mughal architecture. Although much of it is in ruins, the lovely building added by Sawai Ram Singh II and Sawai Madho Singh II provides interest to the fort. Shahbad Mosque: The mosque is considered as a biggest mosque in Rajasthan. It is situated 160 km away of Kota in Rajasthan. The mosque was built during the reign of Aurangazeb, the powerful Mughal ‘Badsha’. A fort was constructed in 1577 A.D. by the chauhan ruler Muktaman is a worth visit. Rana Pratap Sagar Dam & Bhainsrorgarh: Bhainsrodgarh fort lies 50–55 km on the right bank of the Chambal River and a village lies within the fort in Kota. The fort is set amidst scenic surroundings. An ancient temple of Gaipur Nath Mahadev on the way is an idyllic picnic spot. Bhanddeora: Bhanddeora is located in Ramgarh, a distance of 110 km from Kota of Baran district in Rajasthan. Amidst atop of Ramgarh hill, it is the 11th to 12th century temple now in ruins. Easily approachable by jeep and car. This entry was posted in Kota, Rajasthan and tagged Bhainsrodgarh fort, Bhanddeora, Chambal Garden, Haveli Of Devtaji, Jag Mandir, Kota Barrage, kota india, kota map, kota maps, Maharao Madho Singh Museum, Nahargarh Fort, Rana Pratap Sagar Dam, Shahbad Mosque, The Government Museum. Bookmark the permalink.